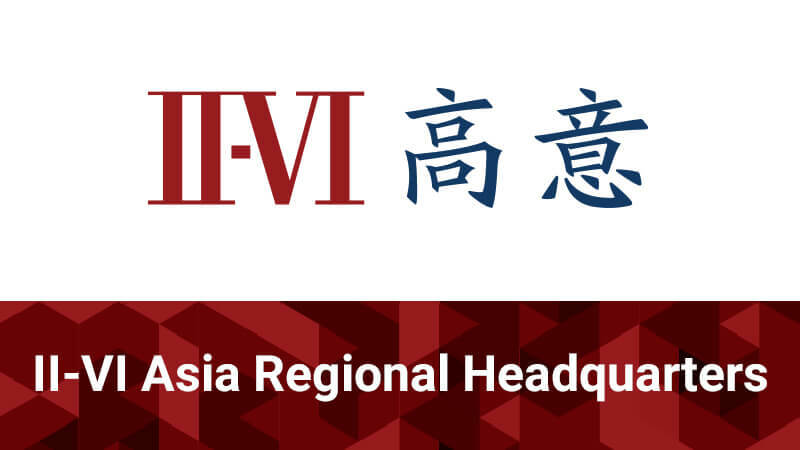 II‐VI Incorporated (Nasdaq:IIVI), a global leader in engineered materials, compound semiconductors and optical solutions for networks, today announced it will inaugurate its new II-VI Asia Regional Headquarters and expand its manufacturing footprint in Fuzhou, China to meet increasing global demand. As carriers worldwide ramp up their investments in 5G wireless infrastructure and drive increased demand for innovative products that enable optical access architectures for next-generation wireless networks, II-VI will add over 300,000 square-foot of space in two new buildings in Fuzhou, China to expand production of its 5G optical product portfolio. II-VI will hold an inauguration ceremony on November 5, 2018. Fuzhou government officials have granted approvals for the public ceremony to proceed. II-VI’s corporate and regional executive leaders will be honored by speeches from a delegation of distinguished officials of the local municipal government.